American rock band 3 Doors Down are known for their non-stop touring, playing hundreds of shows every year. In between touring commitments they've released 5 studio albums since 2000 and are now releasing their greatest hits album. It contains 9 songs from their five studio albums plus three brand new songs. If you've never listened to 3 doors down before then a good comparison is Nickelback - they do similar radio friendly rock music, so if you're a Nickelback fan then I'd definitely recommend checking out 3 Doors Down, and this album is certainly a good starting point. Greatest hits albums are a great way for someone who's heard a couple of songs by a band to get an album with the best tracks as a way of a proper introduction to the band - it's certainly a lot safer than buying one of their albums at random and finding it's not their best and contains none of the hits. For fans of a band though they will probably have the various albums anyway so a compilation isn't something they usually want - except the record labels realise this and usually include one or two new songs on the album as a way of making fans buy the album. This release is no different. A great introduction to the band, but if you've already got their albums and are happy with legal downloads then I'd suggest just buying the new songs rather than the whole album. 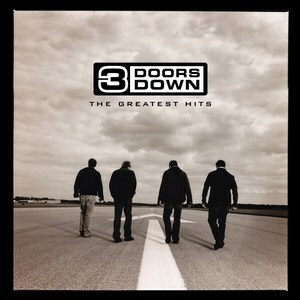 A very good album that is an excellent introduction to the music of 3 Doors Down.